Facebook recently hit a 2 billion monthly active user milestone, and as it turns out the vast majority of those users are accessing the social media network with a mobile device. 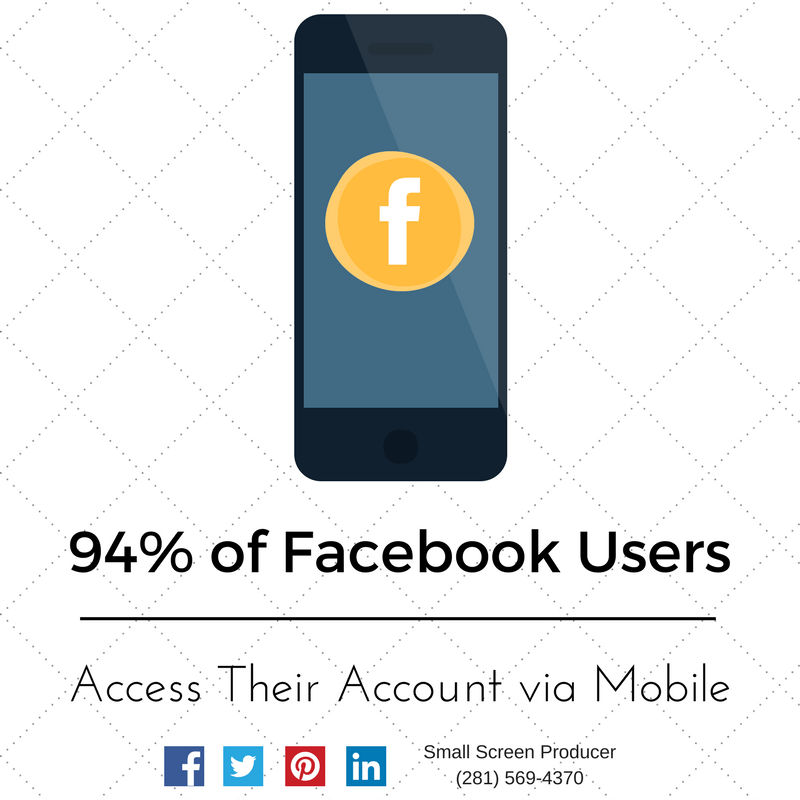 Globally 94% of Facebook users are accessing their account through a mobile device (with 81.7% being an Android device). In India the number is even higher with 97% of Facebook users using a mobile device to log in and peruse their newsfeeds, respond to messages and more. These numbers align with the obvious fact that we are using mobile devices more than ever to access online content. This means that businesses must have a mobile-friendly responsive website that will appear properly on a mobile device or they risk losing website visitors and sales. Nearly three-quarters of the survey respondents (72%) said that it was important to them for a website to be mobile-friendly. 79% said that they would return to search and try to find another site that better met their needs if the website did not appear properly on their mobile device. Small Screen Producer specializes in building mobile-friendly responsive websites for brands and businesses around the globe. Click here to view our mobile website portfolio and give us a call today at (281) 569-4370.